The Classic Flame Adams 23MM1824-C244 Infrared is a contemporary style multi-function media mantel and it combines modern convenience with functional home entertainment solutions. 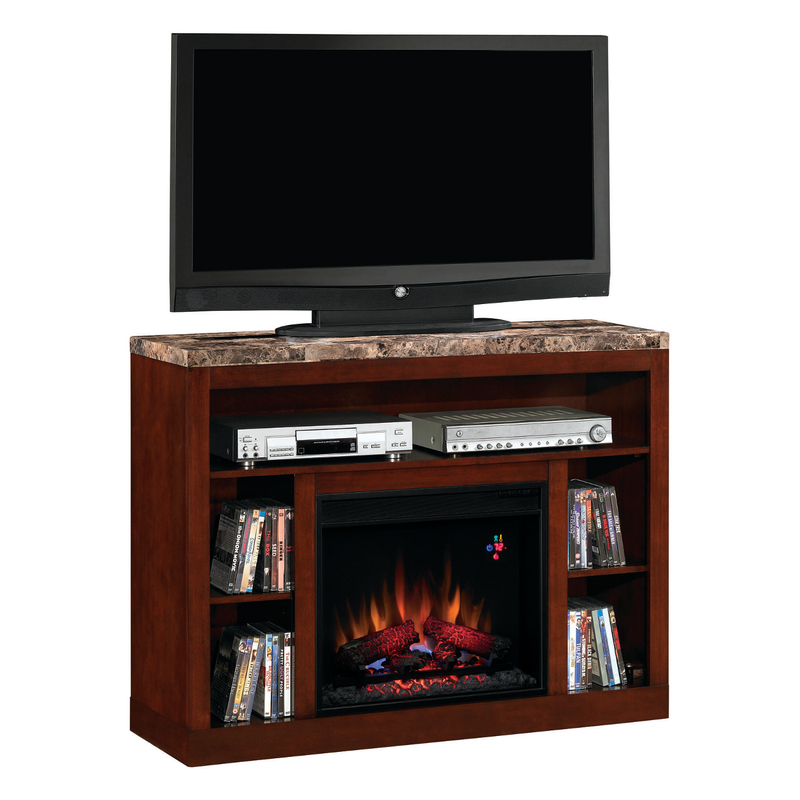 Beautifully engineered marble adorns the mantel’s top, and integrated wire management channels and open storage shelves enhance organization and functionality. Constructed with high-quality solid hardwoods and real wood veneers, the Adams surrounds a 23″ Classic Flame Electric Fireplace Insert 23II042FGL can be used with or without heat for all season enjoyment.